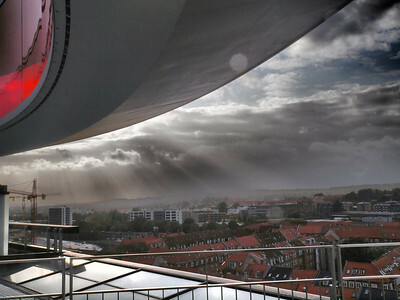 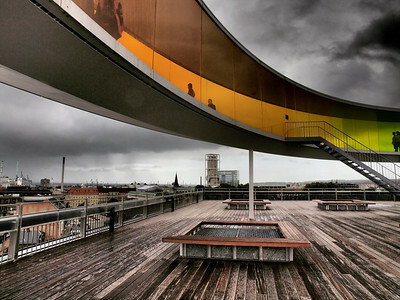 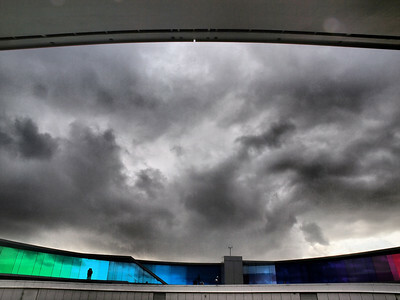 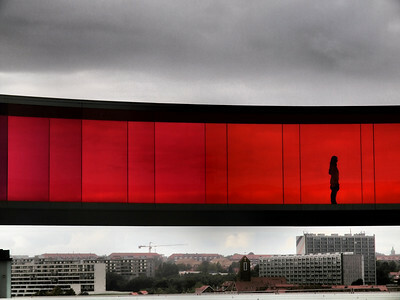 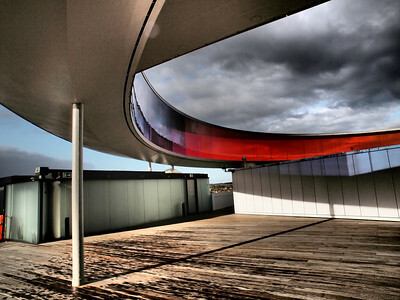 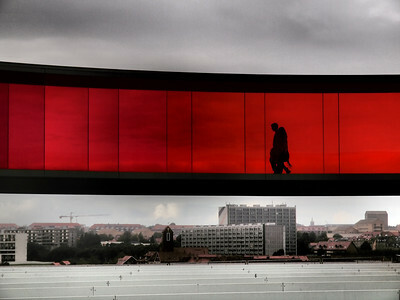 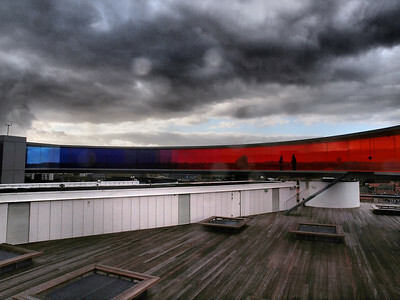 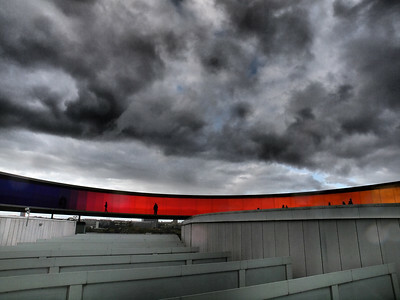 Your rainbow panorama at ARoS in Aarhus. 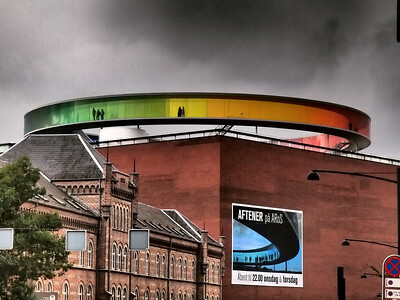 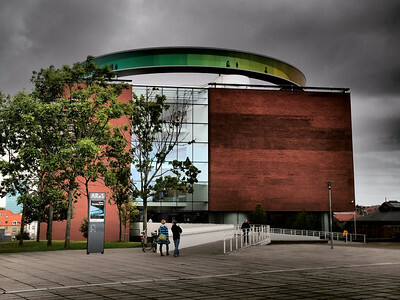 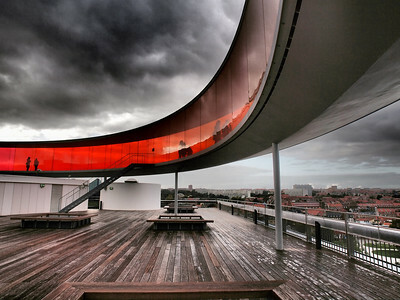 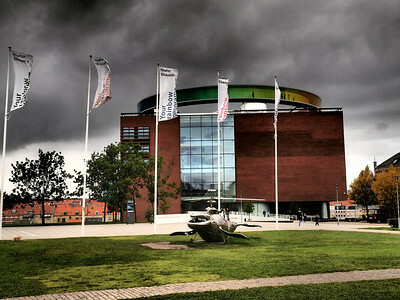 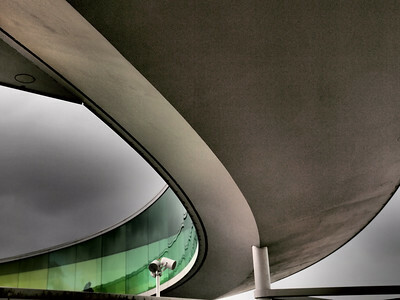 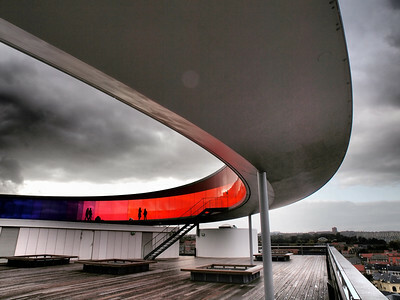 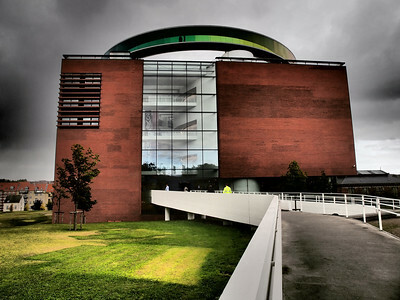 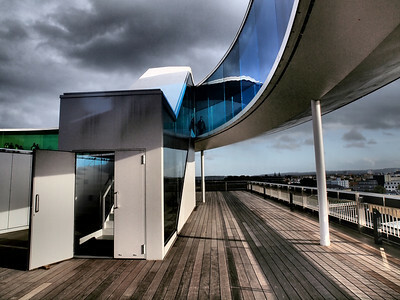 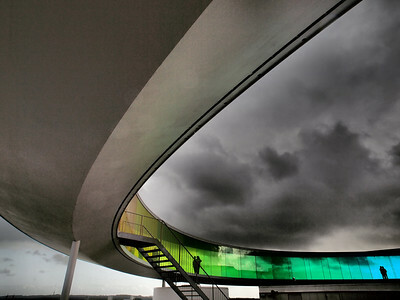 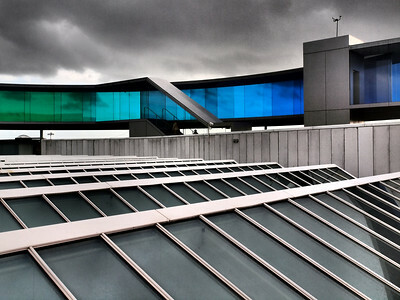 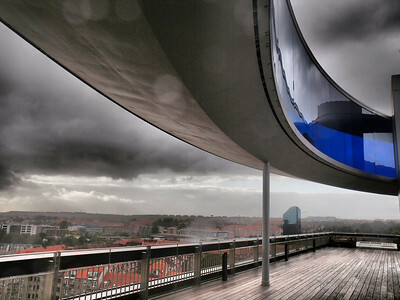 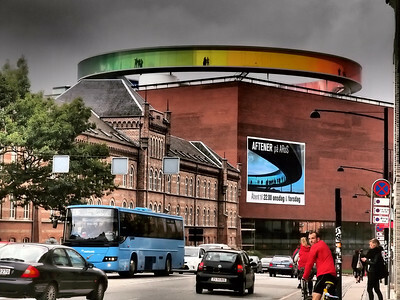 In 2007 Eliassons idea to an art work which could complete ARoS Aarhus Kunstmuseum in Aarhus got chosen among five other proposals in a bidding process by a panel of judges. 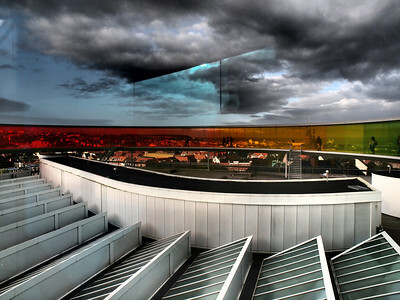 Eliassons artwork called “Your rainbow panorama” consists of circular, 150 feet long and three feet wide circular corridor made of glass in every color imaginable. 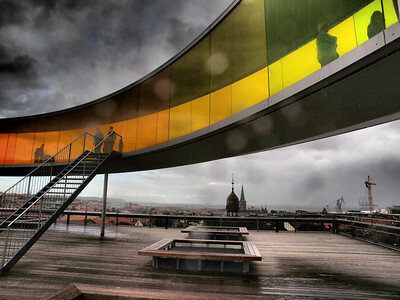 The colorful masterpiece has a diameter of 52 meters and is mounted on slender pillars 3.5 meters above the museum's roof. 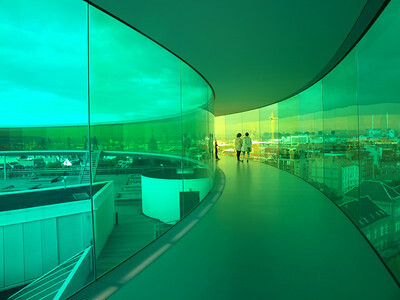 The artwork is at night lighted up from inside by spotlights in the floor. 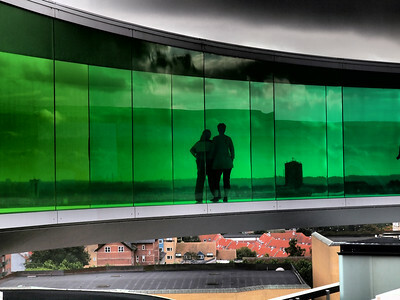 The artwork cost 60 million Danish kroner to build. 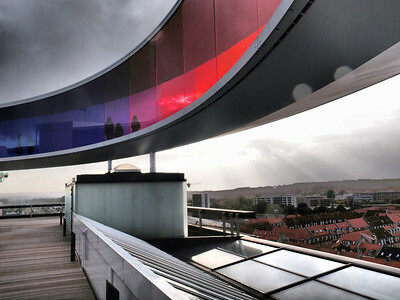 Construction of the artwork began in May 2009 and was completed in May 2011. 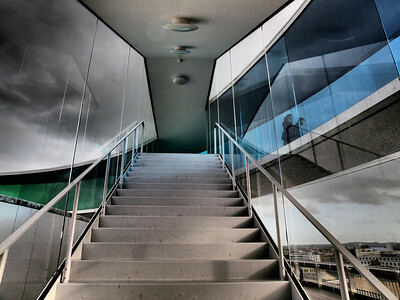 Photo: Martin Bager. 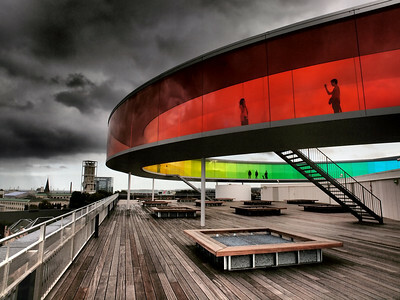 'Your Rainbow Panorama'. 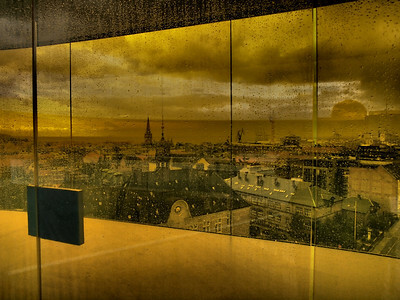 Photo: Martin Bager.